Canada is poised to celebrate its 150th birthday as a nation. 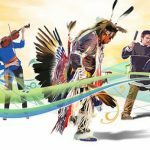 This means communities across Canada, big and small, are preparing to commemorate and recognize both Canadian identity and the history of the nation. In most Canadian history classes, students learn about the many achievements that have been made over the past century and a half, and how important it is for us to celebrate them. Artistic displays, beautiful fireworks, fun family activities and many other events have been planned for July 1st and the days surrounding it. If you search Canada 150 online the top hits are mostly government-run websites endorsing the various celebrations to be held across Canada. Last year, the federal government offered funding to municipalities and cities to organize local events for the celebrations. As your students wrap up their school year, they are probably hearing a great deal about Canada 150 in the news and the wider community. For some students, however, this time may not feel very celebratory. Canada’s Indigenous population has been struggling with the concept of celebrating 150 years of what many consider colonial rule. Actor Adam Beach, a Saulteaux Ojibwe actor participating in the Canada 150 celebrations, said he felt as though he was trying to “balance on the edge” of celebrating Canadian culture with the historical and modern realities of the treatment of Indigenous peoples in Canada. In honouring this discordance, we as educators should be aware that our students may not understand why Canada 150 is a controversial topic. 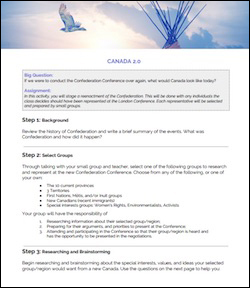 It is important, then, for students to listen to and understand alternative narratives about Canada’s history during this time of celebration. Below are two stories from an Indigenous leader and artist respectively, that highlight the ways in which Canada 150 celebrations fail to capture and acknowledge the importance of Indigenous history in Canada that you can use as discussion points with your students throughout the year. A number of Indigenous leaders, like Grand Chief Derek Nepinak of the Assembly of Manitoba Chiefs, have protested both the amount of money being spent on the Canada 150 celebrations and the hype surrounding the planned events. The Grand Chief, who will walk 120km in protest, states his walk will symbolize the resilience Indigenous people have shown in the face of what has happened to them since confederation. In an interview with CBC news, Nepinak stated: “We don’t have a lot to celebrate when it comes to 150 years of assimilation and genocide and marginalization.” Many Canadians share this viewpoint, arguing that amongst all the fanfare and funds poured into commemorating this anniversary, the government continues to inadequately acknowledge the numerous shameful events and experiences regarding its treatment of Indigenous peoples in Canada. The Honourable Justice Murray Sinclair has stated that “education got us into this mess, education will get us out of it,” regarding the atrocities committed in residential schools, and our need to participate in reconciliation. The Truth and Reconciliation Commission of Canada has therefore created action items: ways in which governments, institutions, and individuals can and should participate in acts of reconciliation. Let’s take the opportunity to help our students recognize that while Canada 150 can be celebrated, there is a difference between commemorating the century and a half since the signing of the country’s confederation, and the fourteen millennia of Indigenous history on this land. We can, and should, be showcasing and celebrating this much longer historical identity. 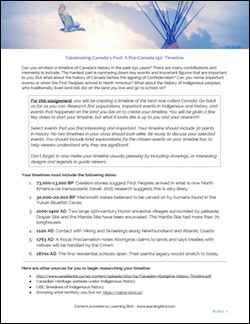 We’d like to share with you some of the events happening in celebration of Canada 150 which also highlight reconciliation so that your students can participate in some of their own actions of reconciliation. A group of grade 7 students at Ian Bazalgette Junior High School is celebrating Canada 150 by raising awareness about clean water issues on First Nation reserves in Canada. After their teacher shared documentaries about water issues on First Nation reserves, these students were moved to petition their municipal, provincial and federal government to use some of the funds slated for Canada’s birthday party towards water cleanliness and safety on reserves. They’ve dubbed their program the Clean Water Birthday Project. The students also used a popular viral video style, the Mannequin, to capture facts to share with other young people about the water crisis. Learn more about the Mannequin Challenge for clean water. 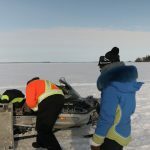 Awareness campaigns like these could be a great way for you and your students to recognize and support Indigenous peoples in Canada, and some of the struggles they face in accessing essential services like clean water. Feel free to use this content with your students. 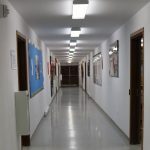 If you are interested in learning more about content resources for your classroom, contact us.